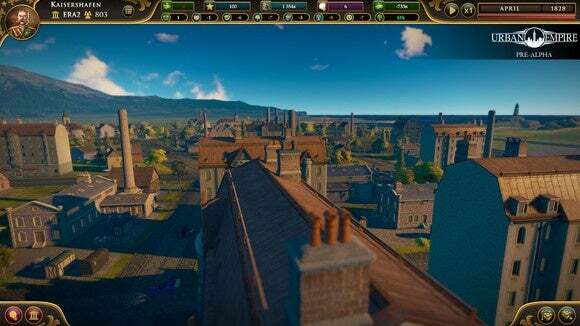 Ah, if only life actually worked like Urban Empire, the upcoming “City Ruler” game coming out of Fragment Production and published by Kalypso. Here, we see a congressional body function like people who actually want to get things done. Laws are passed. Land is zoned. It’s beautiful. And thus it's particularly ironic that my demo of the game took place in San Francisco, home of an ever-spiraling housing crisis. See, in the real world people don’t just “put up houses.” I’m sure you’re intimately familiar with the complexities of zoning laws and the workings of local government (maybe sarcasm), so I’ll just stick to the high-level overview: Governments have a hand in whether most public projects are funded, built, and maintained. The vagaries of red tape don’t make for especially thrilling games though, and thus most city builders have tended to set players somewhere between “Mayor” and “God.” In SimCity or Cities: Skylines you act unilaterally, constructing and demolishing entire blocks of houses at will, setting taxes and building massive public works projects and shouldering an entire city’s burdens. Urban Empire is different. Though constructed in the guise of a city builder, Urban Empire takes politics as its launching-off point. Here, you play a member of an influential family helping establish a city in the 1820s. And while you’ll start the game like a typical city builder—zoning some housing, some businesses—you can only do that for so long with your meager private fortune. Sooner or later you’re going to need to turn to the local government (and its massive tax base) for help. From here on out, Urban Empire turns into a different sort of game. Trying to earmark public funds for a fountain, for instance, requires going to the government and proposing the project, then coaxing (or bribing or threatening) members into voting for it and hoping the measure passes. Everything is handled through the government. Taxes, research, construction and demolition. You’re less a god here and more just a harried public official who everyone hates. Which is probably more realistic. 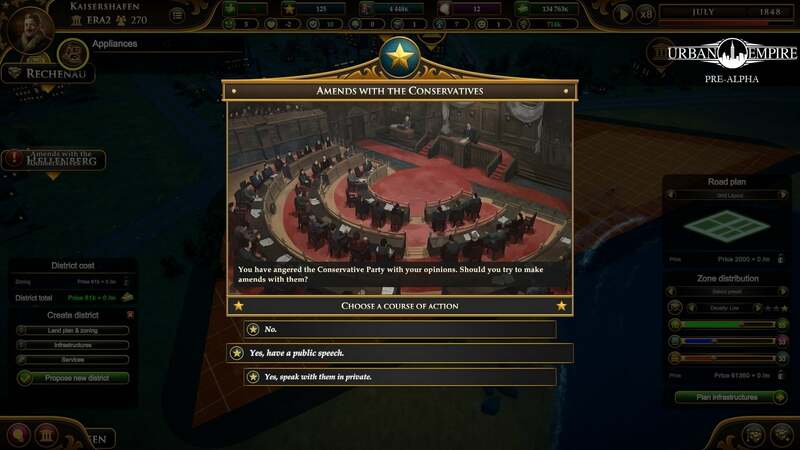 It’s party politics, though distinctly European-flavored—I’d guess Urban Empire is loosely modeled after the UK, though this could simply be my American ignorance speaking. It’s certainly not the two-party system we enjoy (read: suffer from) in the States. Your city government starts with only two or three parties but they soon fracture into six or seven, meaning consensus is quite a bit harder to attain. The game covers 200 years of history, and you’ll follow the same family through the ages (similar to Kalypso’s other city-builder Tropico) and have to deal with new issues as they crop up—be it child labor or unionization or Marxism or the Cold War. What I saw was just a small piece of that first era, all dirt roads and dusty carriages, so I’m not prepared to talk about how the cities change over time. It makes for an interesting demo, though. I’ve always felt city builders were at their weakest in the late-game, when you have millions of dollars and nothing to really spend it on. It becomes a slow and steady game of “Fill The Map” at that point, and as long as you’ve mastered the fundamentals there’s not much to trip you up. No new challenges arise, as long as you can keep money in the bank. Urban Empire seems like it’ll only get harder as time progresses. Not only do you have to deal with a more educated and strong-willed workforce, but party lines become increasingly entrenched. After all, overcoming stubborn party leadership is quite a bit easier when your ancestor didn’t beat someone else’s ancestor with a cane in 1856 and cause a permanent rift between the two sides. Yeah, that really happened. Politics used to be brutal. 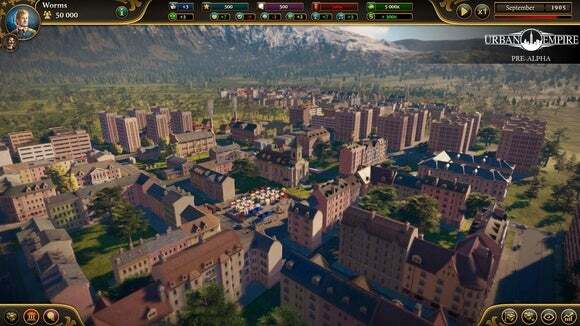 Canings aside, Urban Empire seems like it has the potential to fill yet another city builder niche, akin to Tropico. The challenge here is two-fold. 1) Represent events (i.e. World War II, the Cold War) with an appropriate amount of gravitas—or at least some semblance of plausibility. 2) Make it fun. 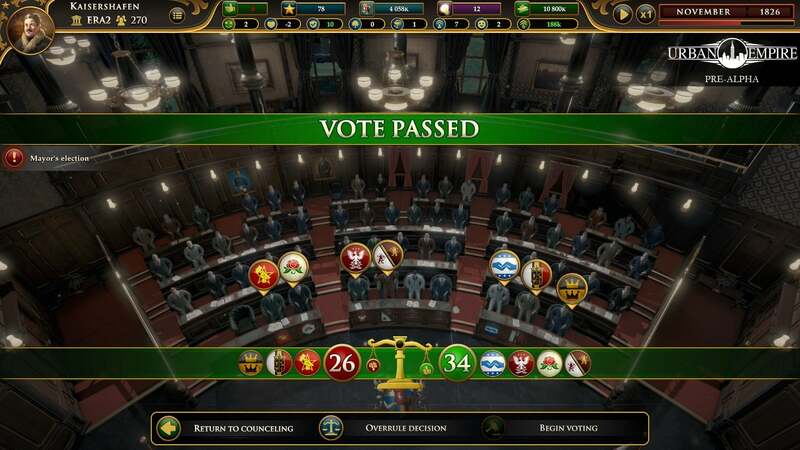 A stiff challenge, but as a history fan I’m hoping Urban Empire can pull it off. 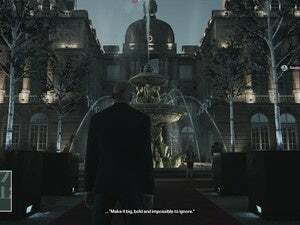 The game is scheduled to release sometime in the fall of 2016, for all you wannabe city board members and state representatives and other C-tier government officials.